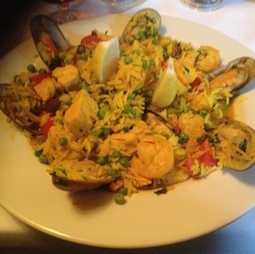 When you decide to cook a seafood paella, then you need to look at your fish supplier, to see what there might be to ring the changes for your seafood. I will give you a basic paella recipe and the availability of the seafood at your supplier, will give you your variations. Put the mussels and wine in a pan and steam until opened. Remove the mussels, strain the wine and add it to your stock. Heat the oil in a large pan (paella pan or wok) and quickly fry off the monkfish for about 3 minutes. Add the cod and prawns and fry for a further 5 minutes. 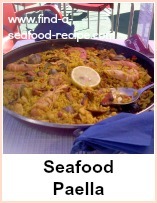 Remove the fish from your pan, cover to keep warm and you are ready to begin the next stage of your seafood paella. Cook the onions and garlic until softened. Add the paprika, tomatoes, rice, peass, stock and saffron with its water. Bring to the boil and cover the pan. Simmer for about 15 to 20 minutes until the rice is tender, stirring occasionally to prevent sticking. Return the seafood to the pan and mix thoroughly - allow it to heat through for a couple of minutes. A few twists of black pepper, garnish with parsley and serve immediately. 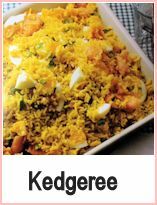 You could change the seafood or substitute chicken pieces for the cod in the above seafood paella recipe - add squid, red mullet. This is such an easy seafood paella recipe, it could be cooked by even a novice. It is tasty and simple - slightly spicy with the paprika and very convenient to make. 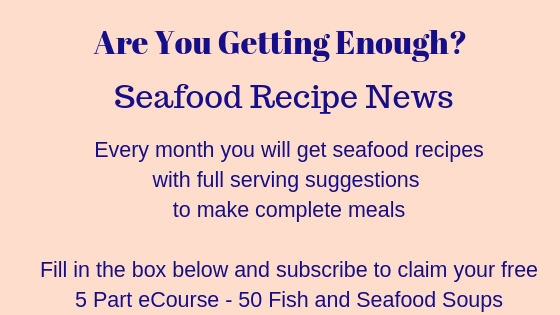 You use frozen seafood which means that it can be a good storecupboard standby if you have unexpected guests or are just stuck as to what to cook. You will need a large frying pan for this recipe - a chinese wok would possibly do. If you don't have either, then just use a large saucepan. Heat the oil and gently fry the onion and garlic until softened. Add the paprika and thyme and stir. Add the rice and stir quickly to coat with oil. Add the wine and allow it to bubble for a minute or so. Let the liquid simmer and allow it to cook uncovered for about 15 minutes, stirring now and again. The rice should be almost tender and some liquid should remain. Add the frozen seafood and stir through well to distribute it evenly. 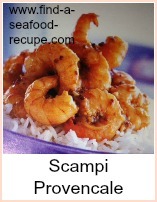 Cook a further 5 minutes when the rice should be tender, the liquid absorbed and the seafood hot. Squeeze the lemon juice over and scatter with parsley. Try a mixed salad and some crusty bread and butter to go with this. Two super seafood paella recipes, one an authentic paella the other an easier one that you can make any time.